The British Psychological Society Senate has chosen which policy area to focus on in the coming year. A proposal on the mental health and psychological wellbeing of children and young people won the vote – against two other proposals on the role of psychology in current developments in technology, and ending the detention of refugees and asylum seekers in the UK and supporting their right to work. The newly inaugurated Senate, which is acting as an interim measure until the Society’s structural and member network reviews are complete, comprises the chairs of all BPS member networks with an aim to give members a democratic way of selecting organisational priorities. There is also hope the group will increase the impact the Society has on public policy. The winning proposal was put forward jointly by the Chairs of the Division of Educational and Child Psychology, the Division of Clinical Psychology and the Division of Academics, Researchers and Teachers in Psychology. They pointed to the need for a national strategy that ensures a cohesive and coordinated approach to increase access to psychological support and interventions. To mark World Mental Health Day, the government announced the appointment of Mental Health Minister Jackie Doyle-Price MP to an additional role as Minister for Suicide Prevention. She will be responsible for ensuring that local authorities have plans in place to stop suicide and will also be looking at how technology can help to identify those at risk of suicide. The BPS released a response calling for action to improve early intervention, outlining five steps toward helping those who may be at risk of suicide. These include implementing measures to ensure those discharged from hospital following a suicide attempt are given a follow-up appointment within three days, as this is a particularly risky time. In response to the autumn budget, the Society welcomed the announcement of a new mental health crisis service, which promises mental health support in every major A&E department, and children and young people’s crisis teams across the country. Sarb Bajwa, Chief Executive of the BPS, said that given the Society’s senate vote (above) he was pleased to see the Chancellor’s commitment to children and young people’s crisis teams. He did add that the move was just a step on the road to real parity of esteem between mental and physical health care in the NHS. More recently Bajwa, along with Editor of The Lancet Psychiatry Niall Boyce and Wendy Burn, President of the Royal College of Psychiatrists, published a letter in The Lancet Psychiatry setting out five principles to provide common ground among diverse professionals and others involved with mental health services. They stated that prevention is key, that there must be moves to eliminate stigma and discrimination against service users, that service users must be given choice and empowerment in treatment and that a drive towards community-based services must be accompanied by high standards of care. 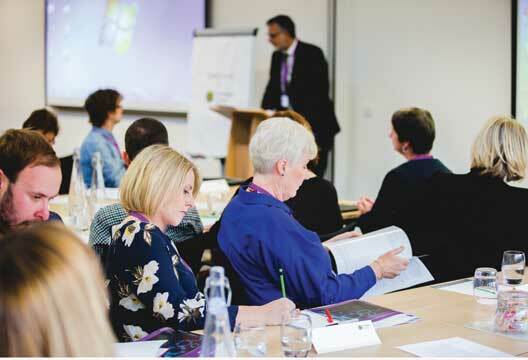 On professional issues, the Society called for members to respond to a Health and Care Professions Council consultation that is proposing an 18 per cent increase in its registration fees for next year. The Society has robustly challenged the proposals, pointing out the increases are more than six times the current rate of inflation. And in response to the Research Excellence Framework 2021 consultations on its draft panel criteria, working methods and submissions, the Society’s Research Board raised some concerns. For example, it suggested attempts to take researchers’ individual circumstances into account in an effort to promote equality and diversity was not a significant improvement on the 2014 process.